In 1794 the Pennsylvania Legislature – taking the worldwide lead – abolished death as a penalty for all crimes except that of premeditated murder. In so doing, it became imperative to give second thoughts to the way prisoners were to be detained for lengthy periods of time. The 1770 Berks County Prison – erected at the northeast corner of Fifth and Washington streets, on the site of the Berkshire Hotel – was typical of the “countie gaols” of the colonial period. 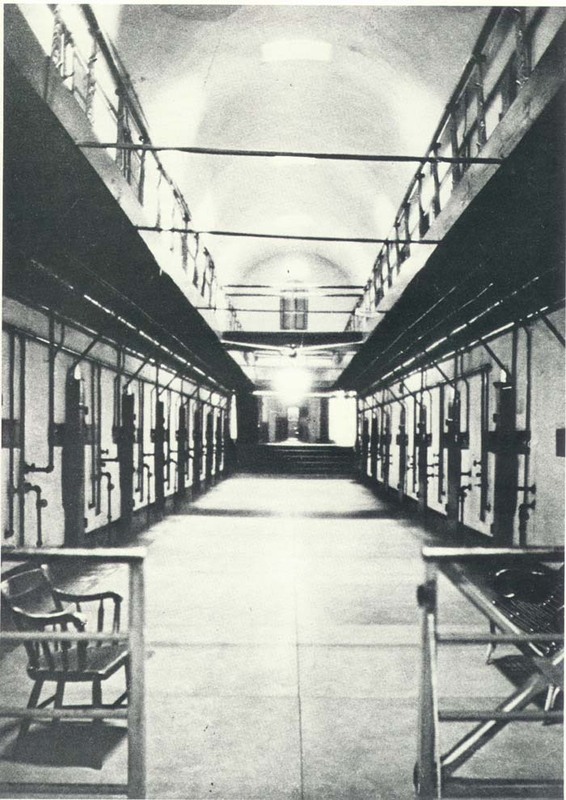 Under the leadership of the Philadelphia Society for Alleviating the Miseries of Public Prisons, our Commonwealth adopted the principle of separate and solitary confinement of all convicts. Advocates of the separate-and-solitary system were convinced that the way to teach an offender to live honestly and honorably as a member of free society was to require him or her to spend the term in prison in complete solitude, deprived of all human contact. 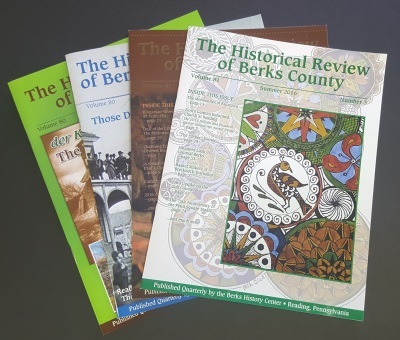 In any event, Berks needed a new facility in order to implement “the Philadelphia plan,” and as the existing prison site was adjudged “woefully lacking,” another location had to be chosen. As it was deemed advantageous to keep the prison “in town,” at the county seat and near the Court House, and as the county commissioners had at their disposal Penn’s Common, which was only blocks away and right along a main thoroughfare, the decision was made -with little hesitation – to erect “the new penitentiary” there. IN 1847, commissioners John Sherman, Michael Gery, and Fred Printz engaged John Haviland of Philadelphia, the foremost architect of his day, to design an appropriate structure in keeping with the principle of separate-and-solitary confinement. The late John Tenschert, pioneer Reading Eagle lens man, took this photograph on Jan. 21, 1932, the day the prisoners were moved to the new county prison on the W.W. Essick tract in Bern Township. This view clearly shows the details of “the great tower” and the two 50-foot-high octagonal bastions that stood on either side of the main entrance. 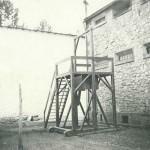 The new prison, completed in 1848 at a cost of $17,000, stood at the head of Penn Street on a lot that measured 170 feet across the front and 300 feet deep. This parcel, the exact boundaries of which remain intact, is now set apart for the exclusive use of police vehicles and personnel. The original retaining walls and front steps of the prison also survive here as convenient points of reference. 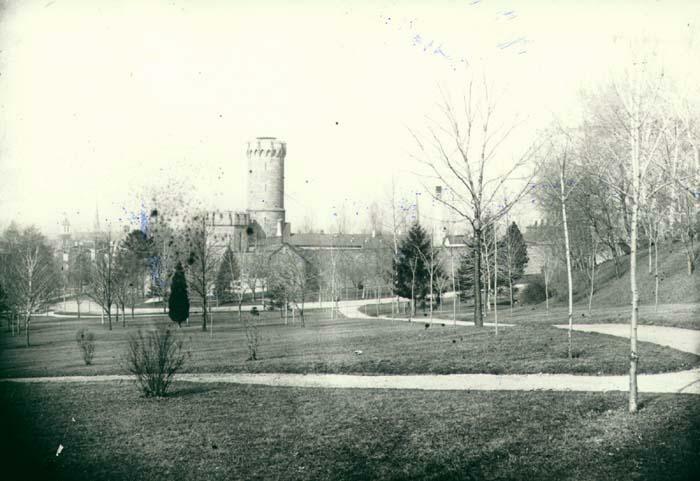 Constructed of sandstone extracted from Penn’s Mount, the new facility – often described as Gothic or Norman in styling – was dominated by a huge circular lookout, “the great tower,” which rose to a height of 96 feet. In front and to either side of it were two 50-foot-high octagonal bastions with elongated and barred interstices. “Proponents of the (Philadelphia) system realized that the preservation of the health of the inmate de- manded that he be given some chance to exercise in the open air. Therefore, there was constructed a separate exercise yard for each prisoner. 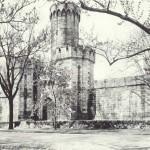 Here is the original 1847-1848 cell block that extended northward from the base of the great (94-foot-high) tower. Within this corridor were 44 cells, eleven on each side and on each story. The five steps seen in the rear led to the 1889 annex, which was built to contain another 50 cells. Berks County Prison as seen from the approximate location of the present day band shell. “A fire was kept burning in the hope that the upsurge of heat from this fire would assist the circulation of air throughout the system.” From all accounts, this system was more impressive in theory than in reality. 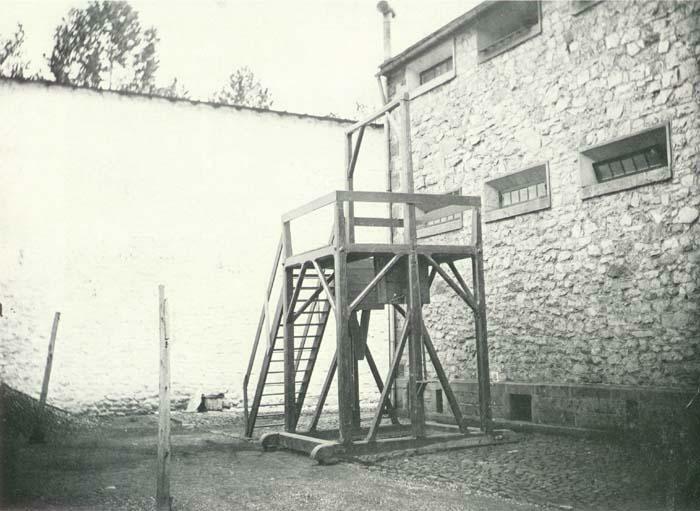 IT IS PROBABLE that not too long after completion of the prison, officials experienced some difficulty adhering to the one-prisoner-to-a-cell concept. 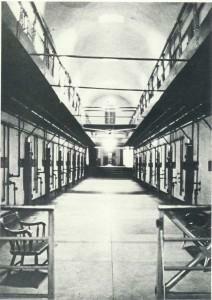 For example, in 1860, at a time when the facility had but 44 cells, a record 622 persons were confined. Granted, some of the stays were one-night events. In 1869 it became necessary to construct an addition that provided another 50 cells. This rear cell house, also of two stories, extended east and west at right angles to the original structure. Construction of this annex did away with the rear exercise yards and the solitary confinement system generally. The “King of Terrors” waits silently in the prison yard. 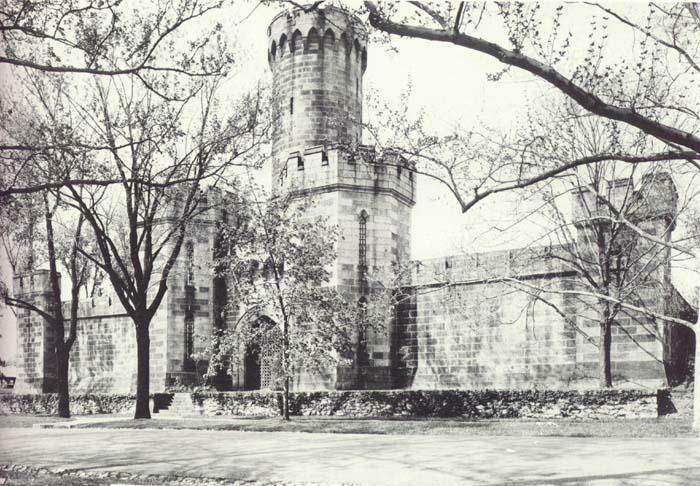 By the late 1920s, the prison in Penn’s Common, which in 1847 had been acclaimed “the best in the country,” was inadequate for its intended purpose. BEYOND THIS FACT, considerable structural decay was apparent, particularly around the front wing walls, and, indeed, there were those who felt it was high time to rid Reading’s premier park of its bastille. Consequently, a new county prison was constructed in Bern Township. 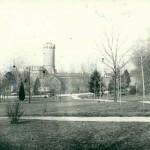 On Jan. 21,1932, all prisoners were moved to the new facility. Thereafter, the old building “sat empty” until its eventual and gradual razing. Numerous ideas were forwarded for possible uses of the old structure which many Readingites wanted preserved. Mayor Heber Ermentrout hoped it could become a recreation center. Others saw it as the ideal place for a new Reading Museum. William E. Weidner, a Spanish-American War veteran and a spokesman for various military groups, wanted the facade retained as a war memorial or band concert “backdrop.” Officials liked Weidner’s suggestions but raising the necessary $200,000 was an impossible task during the depths of the Depression. UNTIL A FINAL determination could be made as to its future, the city paid James P. Kane to watch and patrol the prison from dusk to dawn. Kane’s greatest concern was the rat problem, which was formidable. After the prisoners and staff departed, scraps and crumbs of food were nonexistent and the rats became desperate. Hunger drove them to leave the place in packs and attack the fish in the lily pond. By June 1934 parts of the prison had been torn away. There were still hopes, however, that something could be done with the outer walls, the great tower, and the twin bastions. Regrettably the situation proved hopeless and by 1936 nothing remained except that which can still be seen. As might be expected, officials salvaged all they could. Much of the stone found its way into retaining walls and WPA structures. The field house at Baer Park, West Douglass and George streets, was built entirely from “prison stone,” in 1938.